Insomniac Events today released the daily lineup for the fifth annual Electric Daisy Carnival (EDC) Orlando, set for Nov. 6 and Nov. 7 at Tinker Field. Single-day tickets for Friday and Saturday are also now available, staring at $99 for general admission and $179 for VIP passes. Two-day passes are currently priced at $169 for general admission and $279 for VIP. 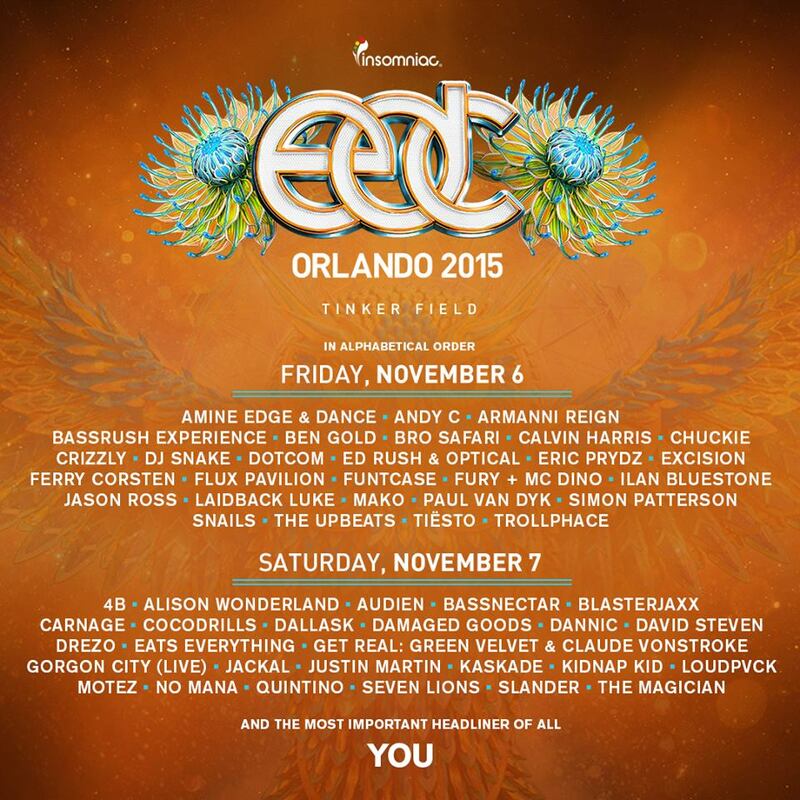 EDC Orlando will host over 50 DJs across three main stages: Kinetic Field, Circuit Grounds, and Neon Garden. The largest stage, Kinetic Field, is likely to resemble a scaled-down version of the “Crystal Village” stage at this year’s EDC Las Vegas. The Dandelion Forest and Buddha Garden art installations will also be onsite, as well as seven full-scale carnival rides, plenty of fireworks and special effects, and a stadium full of roaming costumed performers. Like last year, EDC Orlando will be a cashless event, meaning attendees must load money (converted to “Daisy Dollars”) onto their RFID wristbands to purchase food, drinks, and merchandise. The festival is open to fans 18+. 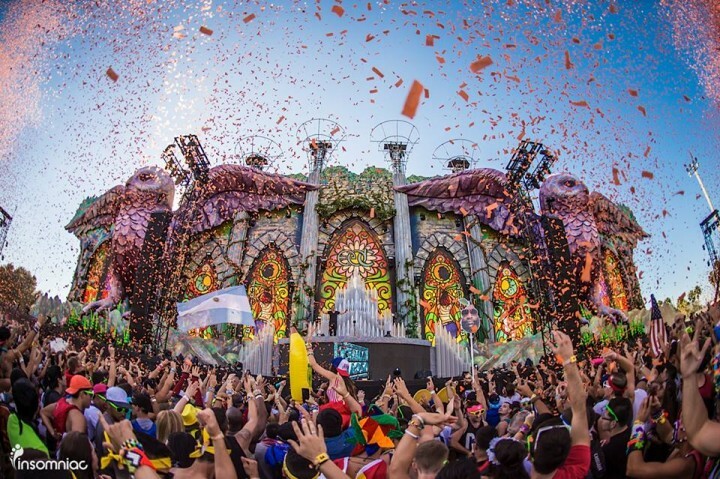 Electric Daisy Carnival is produced in several locations around the world, including New York, Puerto Rico, Mexico, Brazil, the United Kingdom, and Las Vegas. EDC Las Vegas is the largest and flagship event, which celebrates its 20th anniversary in June 2016.